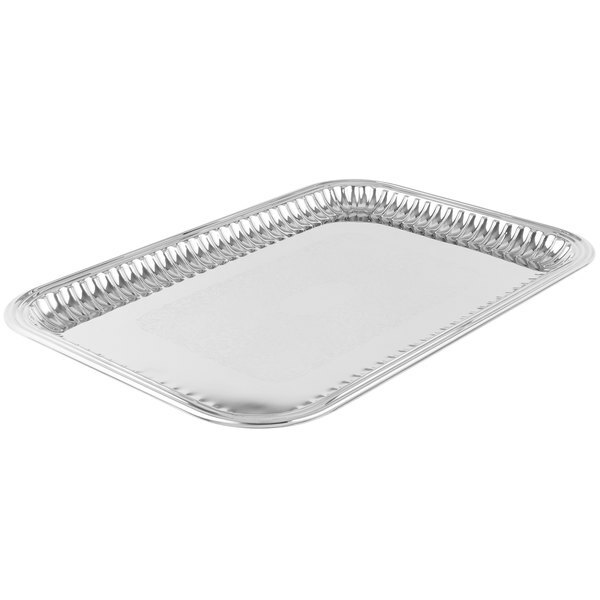 Display fruits, vegetables, and desserts with this Vollrath 82167 Esquire rectangular fluted tray! 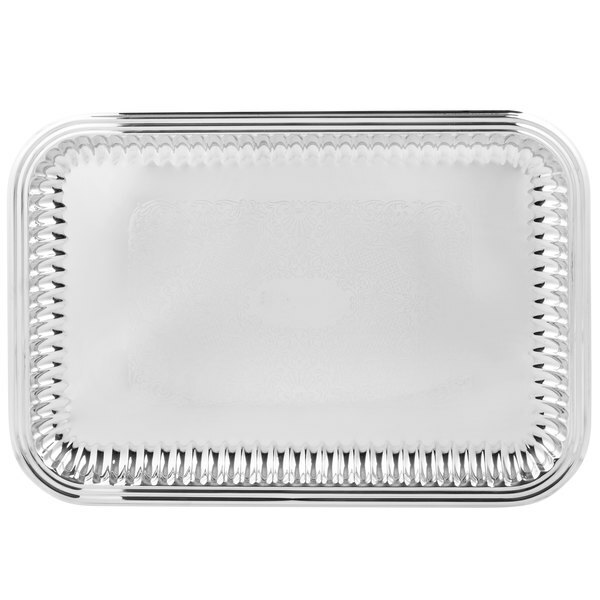 Featuring a mirror-finish, center embossing, and fluted edges, this tray adds an upscale appearance to any tabletop. 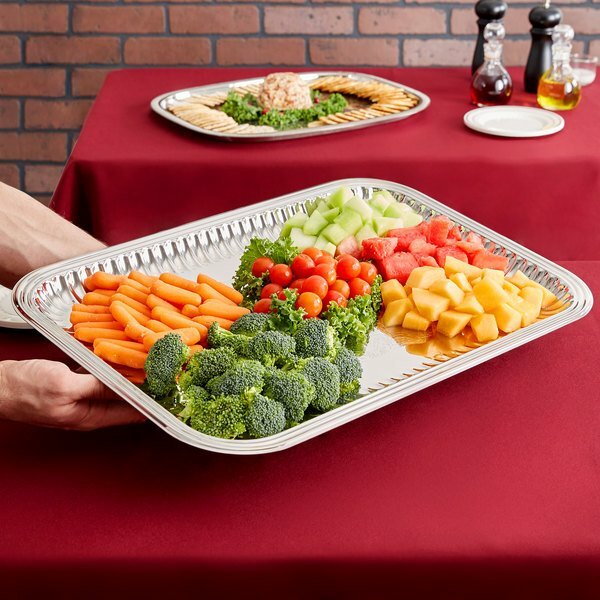 Great for buffets and catered events, the surface of this tray is safe for direct food contact and it won't pit or discolor so you can serve food on a professional, clean backdrop. Simply arrange your carefully prepared appetizers and set this tray out for guests to serve themselves. 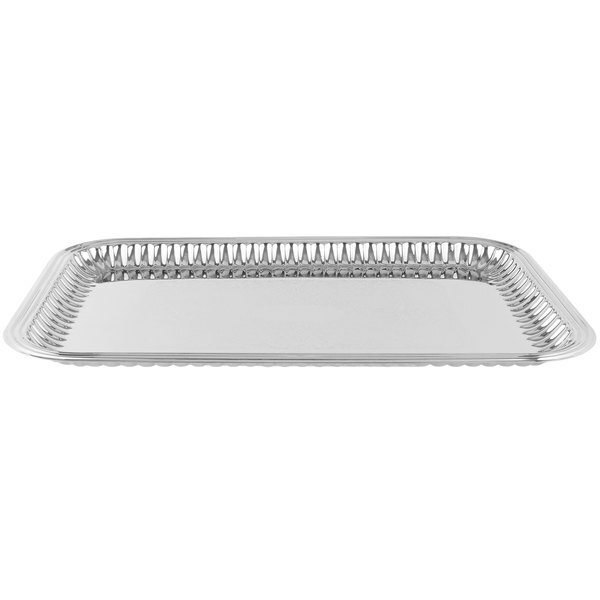 Made of heavy-duty, 18-10 stainless steel, this rectangular tray is designed to withstand repeated use. 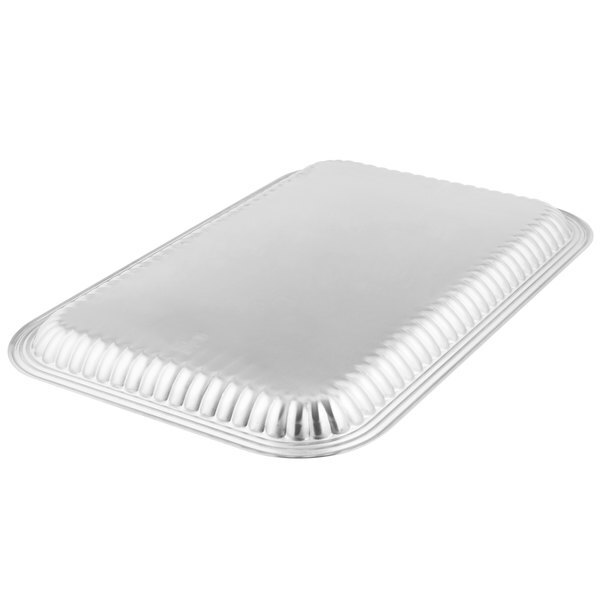 For added convenience, the raised edges help keep food in place as servers transport it from table to table. 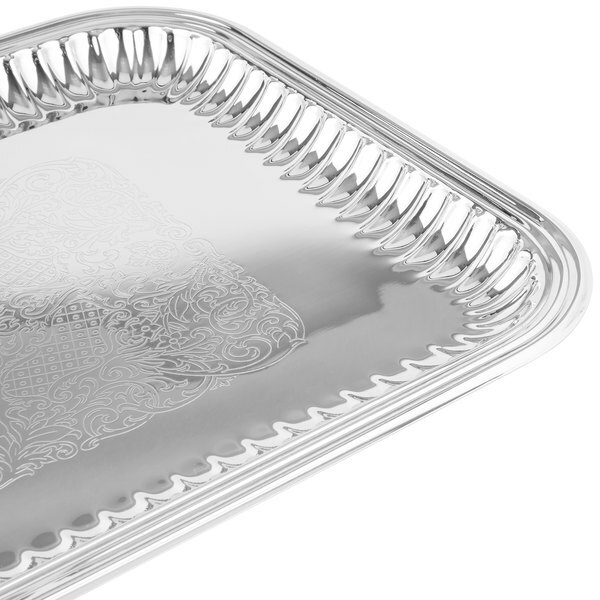 Versatile and stylish, this tray is a valuable addition to your establishment!